An Indonesian citizen, born in 1946. 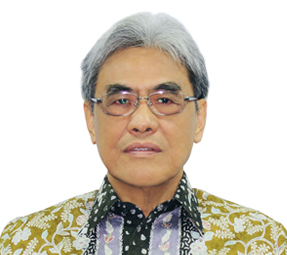 Mr. Hartono was appointed President Director of the Company in 1983. He is the founder of ADR Group of Companies and currently serves as President Director of PT Adrindo Intiperkasa, PT Adrindo Intisarana, PT Panata Jaya Mandiri and PT Hydraxle Perkasa. He graduated from Senior High School, Medan in 1964. An Indonesian citizen, born in 1966. Mr. Pribadi was appointed as Director of the Company in April 2004. He joined the ADR Group of Companies in January 1998 and currently serves as CFO ADR Group of Companies, Director of PT Hydraxle Perkasa, PT Prapat Tunggal Cipta and PT Selamat Sempana Perkasa since November 2013 serves as President Commissioner of PT Greenwood Sejahtera Tbk. He is a former Internal Audit Manager and Deputy General Manager in Finance & Accounting of PT Sac Nusantara (1990-1997), Director and Corporate Secretary of PT Andhi Chandra Automotive Products Tbk (2003-2006) and Corporate Secretary of the Company (2003-2013). 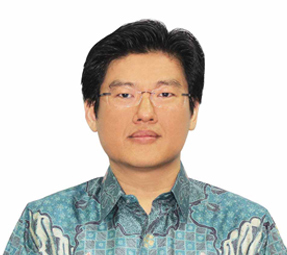 He graduated from Parahyangan Catholic University, Bandung in 1990 and Master of Management from University of Indonesia, Jakarta in 1992. An Indonesian citizen, born in 1971. Mr. Salem was appointed Director of the Company in June 2015. He joined the ADR Group of Companies in April 1998, he is a former Export Manager of the Company for year 2003-2009 and Factory Manager of the Company in Filtration Division for period January - June 2009. He rejoined the Company in September 2014 as Assistant Directors of Operation and currently serves as Director of PT Hydraxle Perkasa and PT Selamat Sempana Perkasa. 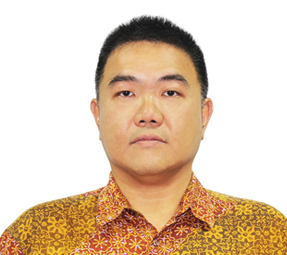 He graduated from Trisakti University, Jakarta majoring in Industrial Engineering in year 1994. An Indonesian citizen, born in 1961. 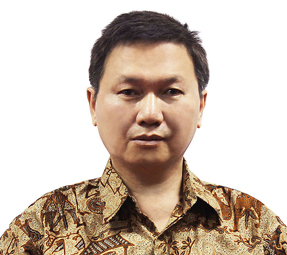 Mr. Setyapranarka was appointed Director of the Company in June 2011. He joined the ADR Group of Companies in April 2002. He is a former General Manager of PT Indo Reco Asia dan PT IKU Furniture (1999-2002). He graduated from Academy of Industrial Engineering Techniques St Mikael, Solo in 1984. An Indonesian citizen, born in 1973. Mr. Hartono was appointed as Director of the Company in May 2017. 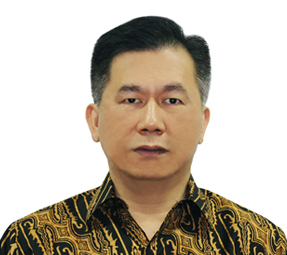 He joined the ADR Group of Companies in 1998 and currently serves as Director of PT Adrindo Intiperkasa and PT Adrindo Intisarana, Commissioner of PT Hydraxle Perkasa, Commissioner of PT Selamat Sempana Perkasa, and President Director of PT Agronusa Alam Perkasa and PT Propertindo Prima Perkasa. He is a former Financial Consultant Commodity Trading, Singapore (1999-2000), Director of PT Andhi Chandra automotive Products Tbk (2000-2006) and Commissioner of the Company (2006-2008). He hold BSc Accounting & Financial Management, UK in 1996 and Post Graduate Diploma in Financial Service Management, UK in 1998.